Could arguments actually be good for your health? That seems to be the case, if science has anything to say about it. The idea is a pretty simple, and applies to just about every relationship in our lives: our bosses, co-workers, significant others, or our children. If we’re taking action to avoid confrontation with people, we may be making ourselves susceptible to physical problems, more than we’d have if we actually saw the argument through to the end. It sounds counter-intuitive, but it actually makes a kind of sense. It turns out that avoiding arguments can contribute to more erratic levels of cortisol in the human body. Cortisol is a hormone that accompanies stress, increases blood sugar, suppresses the immune system, and decreases bone formation, and arguing may actually help to keep it in check. With that, let’s take a look at the psychology – as well as the physiology – behind one of our favorite pastimes. Studies confirmed that married couples who avoid confrontation may have shorter life expectancies than those who allow themselves to argue. A newer study, presented at the 118th Annual Convention of the American Psychological Association, builds on that research. As part of the National Study of Daily Experiences, 1,842 adults between the ages of 33 and 84 were asked each day, for eight days, whether they had had an argument or avoided an argument. 62% of respondents said that they’d avoided argument, while 41% said they’d given in. The remainder indicated that they hadn’t experienced any tension – or were really good liars. In case you haven’t guessed, those in the study who avoided arguments also admitted to experiencing more negative physical symptoms the next day. These included aches and pains, nausea, and lingering negative emotions. Furthermore, the arguers saw less extreme cortisol fluctuations, which was measured with saliva samples each day. At this point it’s worth noting that for one, there’s a right and a wrong way to argue. Secondly, not every argument is worth having. But you probably know this. Which also probably means you’re not a member of the United States Congress. In any event, the study is a reminder that there’s a difference between fighting and arguing. Arguing can lead to improved feelings of intimacy, while fighting leads to precisely the opposite. In fact, you probably did a fair amount of arguing throughout grade school. Each and every essay you wrote was an argument in favor of a particular point of view or reading of the text. We’re encouraged throughout our lives to engage in this kind of discourse: where we’re in full control of our faculties and our purpose is to explore those views that differ from our own. Arguing with somebody you care about is a unique opportunity to get inside their head and to approach an understanding of where they’re coming from. It’s a way of broadening our horizons and getting to know the people in our lives a little bit better. You may be tempted to interrupt, or raise your voice, or engage in personal attacks. As argument styles go, this isn’t going to be helpful. Doing so escalates your argument into fight territory, which isn’t healthy for any of the involved parties. Arguing is about listening as much as it is about speaking. It can be surprisingly democratic, all things considered. At the end of the day, arguing is just one of many tools in the healthy relationship guidebook. Use it sparingly – but more than that, use it wisely. Are There Any Wifi Health Risks? How Your Dog Can Make You Live Better & Longer! Just an FYI. The research here is interesting and important, but I am reticent to share it with others for fear that it will do more harm than good. 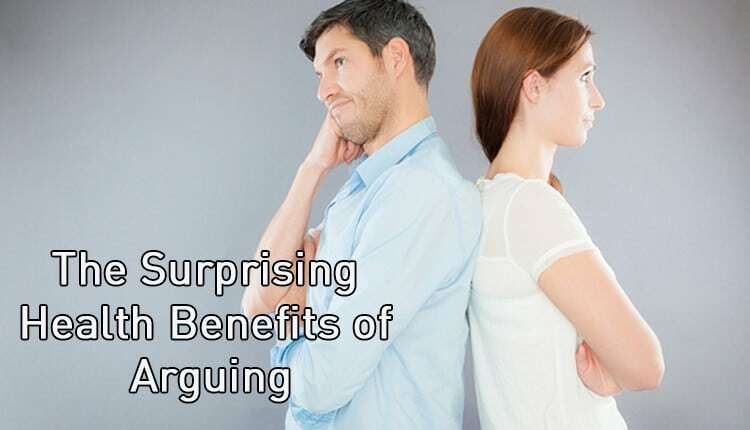 At least in my experience the term ‘arguing’ is more strongly associated with quarreling — something not recommended here — than with a reasoned exchange of ideas to resolve a point of difference. Too many people let titles color their thinking and would miss the nuances here which are central to the practical point.